WHAT: Dozens of Park City businesses will be offering off-season deals and special events every Saturday from September 28 through October 26. Coordinated by the Historic Park City Alliance, participating restaurants, boutiques and galleries will offer discounts, deals and special events. Parking on Main Street will also be free each Saturday. 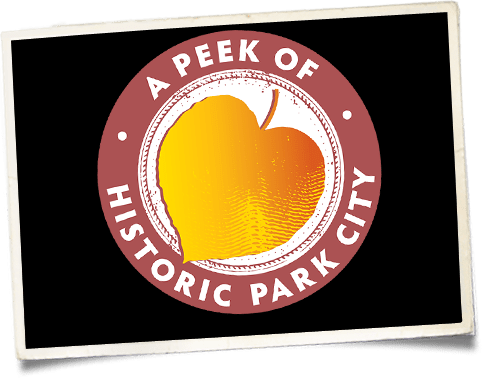 Participants must mention the “Peek of Historic Park City” promotion at participating businesses to receive their deals. Some restrictions may apply. For a list of specific deals at participating businesses, visit www.historicparkcityutah.com. Buona Vita: Three-course meal for $19.99 through October 12. Flying Sumo: 1/2 off nigiri & rolls through November 1. High West Harvest Booth & Blue Sky Ranch Hayrides on October 19. Shabu: $4 hot sake and $5 sushi rolls from 5 pm to close. The Bridge: 25-percent off total bill. Deer Valley Signatures: Drawing for two Deer Valley lift tickets on each Saturday. No purchase necessary, need not be present. Drawing will be held each Saturday at 4pm. Some restrictions apply. Expanding Heart: 10-percent off all clothing (sale clothing excluded), and $10 off a 15-minute reading by one of the store’s Intuitive Readers. Livin’ Life Park City: Select local artisan collections at 15-percent off. Mary Jane's: Local designer trunk shows each Saturday to include Rusted Pearl on October 12, BRVC on October 19 & RJ Designs on October 26. Beverages and snacks will be served. Otto Parts: 20-percent off total purchase. Park City Clothing Company: 15-percent off any pair of in-stock Western boots, excludes sale and vintage boots. PROSPECT: 15-percent off total purchase. PROSPECT_youth: 15-percent off total purchase. Gallery MAR: Kids’ Crafts or Artist Demo every Saturday. Local artists Bridgette Meinhold, Andrzej Skorut, Ron Russon and Adam Winegar showcased in the gallery. J GO Gallery: 15-percent off any one piece of art jewelry from the Sparkle & Bling Collection. Washington School House: Show your valid Utah ID and enjoy 25% off your reservation for October 18th, 19th, 24th or 25th, 2013. Weekly – Free Parking on Main Street. Weekly – 5:30 p.m. Ghost Tours by Park City Ghost Tours for $15. September 28 – World Trade Center Artifact Display on Lower Main Street with a special presentation at 1:00 p.m.
More Activities & Events to be announced!